It’s no secret that Sony’s smartphone fortunes have taken a nose dive at the same time that Samsung has been on an upward trajectory. After years of failing to stand out from the smartphone crowd, Sony has decided that this year there will be no mistaking its smartphones for anything else out there on the market. 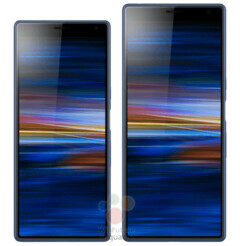 Like the Xperia XZ4 and the Xperia XA3 leaked before it, the just surfaced Xperia XA3 Plus/Ultra will also feature a widescreen display with a 21:9 aspect ratio. The key difference between the Xperia XA3 and the Xperia XA3 Plus/Ultra is that instead of a 5.9-inch display, it will stretch out to 6.5-inches wide, or tall, depending on how you look at it. Sony has long been synonymous with widescreen TVs, which are viewed in a landscape orientation, and it looks like it wants to transfer this into the smartphone space as well. Given that many of us spend much of our time with smartphones in a landscape orientation for viewing videos or playing games, it does (kind of) make sense that this design approach could work. The flagship Xperia XZ4 features a display similarly proportioned at 6.55-inches and with the same 21:9 aspect ratio, but its resolution will be an impressive 1440 x 3360 pixels. The XA3 Plus/Ultra will probably offer the same 1080 x 2560 pixel resolution as the XA3 meaning that while it will have similar dimensions to the XZ4, it won’t be in the same ballpark for sharpness. 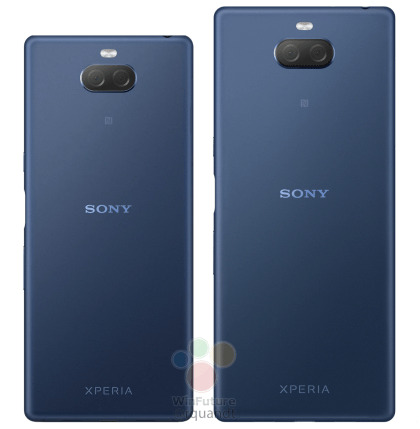 The XA3 line will probably feature LCD panels as well whereas we expect the XZ4 to follow in the footsteps of the XZ3 in offering a high-quality OLED panel. Expect to learn much more soon with MWC 2019 starting on 25 February, where it is anticipated that Sony will officially take the wraps off all three models.